For the first time in the history, the majority of the world’s population now live in urban settings rather than rural settings. This trending switch has taken us away from nature, which has taken a collective toll on our health. erything from a positive effect on the attention span, to stress reduction, to cognitive development and a sense of wonder and connection to the earth.” With incidences of heart disease, diabetes and cancer continuing to rise, as well as escalating mental health issues, research is linking artificial stimulation to exhaustion and a loss of health and vitality. 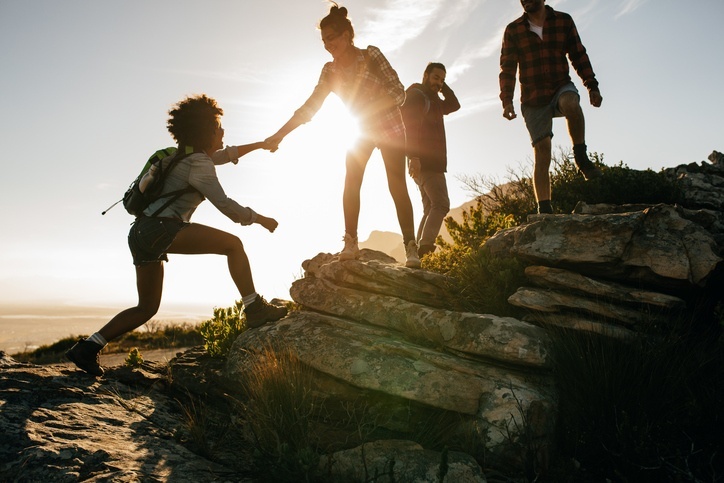 Simultaneously, mounting scientific evidence points to the positive effects that interacting with nature has on a person’s physical and mental well-being. Even though the amount and type of nature accessible to people is varied, our desire to connect with it somehow seems to be universally embedded in our DNA. As humans, our cells expect and thrive on natural sunlight, fresh water and air. Not having such a connection is, no pun intended, “unnatural”. Spending days in windowless rooms with artificial light and glowing screens from televisions, computers and smartphones denies us the necessary symbiotic relationship we need with the natural world to thrive. Our bodies haven’t evolved to keep pace with what is now a disconnect from nature. At our core, we’re still hunters and gatherers. In other words, our bodies need what nature gives us, and that may always be the case. Dare we say nature gives us everything we need? In philosophical terms, connecting to nature gives us a sense of purpose and connection to the greater. In biological terms, nature provides all we need in terms of nutrition. The less connected we are to it, the more susceptible we are to nutritional deficiencies. Vitamin D is a perfect example. The “sunshine vitamin,” vitamin D is the most obvious nature-derived nutrient. The less time we are exposed to the sun, the more prone we are to vitamin D deficiencies, which are linked to higher risk of diabetes, high blood pressure, cancer, autoimmune conditions, and depression. The bacteria beneficial to our health is something else prolific in nature that we require. Let Them Eat Dirt, by B. Brett Finlay and Marie-Claire Arrieta, shares the shelf with a slew of other recent publications encouraging its readers to let children build mud pies and lick their fingers for the sake of their microbiomes. Where, in urban ecology, the soil seems fraught with putative parasites and pathogens, a typical forest may be replete with bacteria found to double as an antidepressant. Subjects inoculated with Mycobacterium vaccae, for example, activated a specific subset of serotonergic neurons, improving the emotional moods of the subjects. Mycobacterium vaccae was also found to support the immune response. Our guts need microbial diversity. Researchers have found clear evidence that childhood exposure to outdoor microbes is linked to a more robust immune system; for example, Bavarian farm children who spent time in family animal stables and drank farm milk had drastically lower rates of asthma and allergies throughout their lives than their neighbors who did not. In another study, a decreased bacterial diversity was found in patients with psoriatic arthritis, linking the microbiome with the autoimmune response. The pendulum seems to be swinging back and we are seeing a shift back to nature. From fast food to more “slow” organic foods, a rise in popularity of dietary lifestyles rooted in hunting and foraging ancestral patterns and a resurgence of planned parks amidst urban sprawl, we are seeking a reconnection with nature. “Grounding” or “earthing”, a practice that involves walking barefoot on the earth’s surface, is also gaining popularity. Research has shown “earthing” can reduce inflammation, promote wound healing, strengthen the immune system, and prevent or even help to alleviate chronic diseases, including autoimmune diseases. Even in hospital settings, people are planting trees and gardens. Studies have shown that connecting to nature can speed recovery from surgery; just being around plants or images of nature helped to heal the body faster and more efficiently. Patients with garden access on hospital grounds demonstrated positive health outcomes, such as less stress and anxiety, a positive outlook and faster healing.